Spider-Man’s third and final DLC chapter in The City that Never Sleeps has a release date. Silver Sable is back in the Spider-Man: Silver Lining DLC, determined to reclaim her stolen Sable International tech. That’s all we’ll go into regarding content for The City that Never Sleeps part three, just in case you haven’t player the other chapters Turf Wars and The Heist. Spider-Man: Silver Lining features new missions, new and upgraded enemy and crime types, upgraded Hammerhead bases and storyline quests. There will also be new trophies and challenges. As with prior DLC, three new suits will be available for players to unlock. One of these is Peter Parker’s suit from the upcoming film, Spider-Man: Into the Spider-Verse. It hits theaters on December 14. Those interested in pre-ordering the film from PlayStation Store, way ahead of it’s post-theatrical release, will receive the Silver Lining DLC free as an incentive. 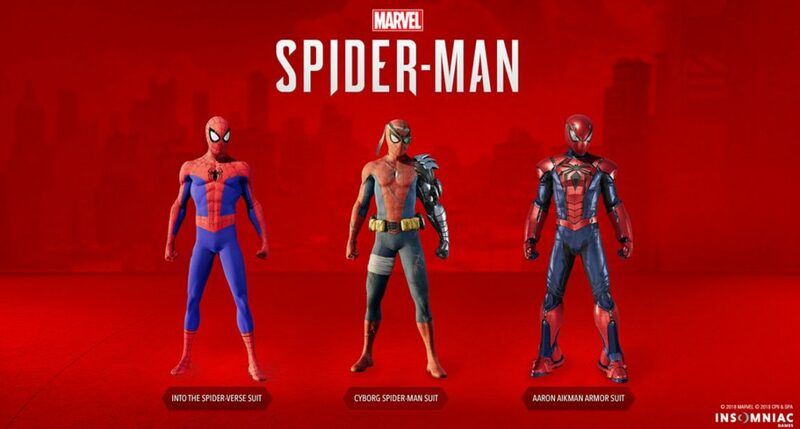 The other two suits are Cyborg Spider-Man and Aaron Aikman Spider-Armor. Spider-Man: Silver Lining releases December 21. It will run you $9.99 or $24.99 for The City that Never Sleeps in its entirety.